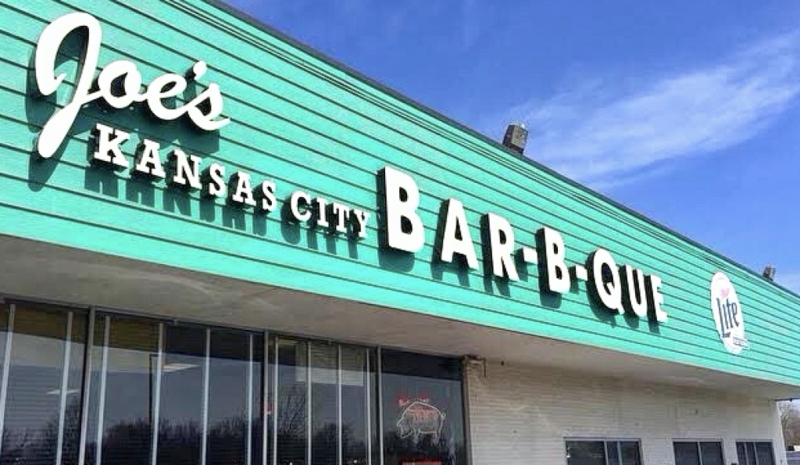 Joes Kansas City BBQ…The BEST BBQ in Kansas City! Changing up your food "playbook"
As many of my followers know I'm an ICU nurse. Many don't know that I travel from the east coast back to Kansas City to work. I know it sounds crazy, but I love the University of Kansas Hospital and working in the Medical ICU. So....when I travel back each month I make my rounds to my favorite restaurants. Joe's KC BBQ (formally known and Oklahoma Joe's BBQ) is my first stop. As luck would have it, the original gas station location is only a couple blocks from where I work. Come 1830 (6:30pm), I make a to-go order, and pick it up after working a 13 hour shift. No matter what kind of day I had at work...this meal will put a smile on my face! My favorite item on the menu is their rib dinner. 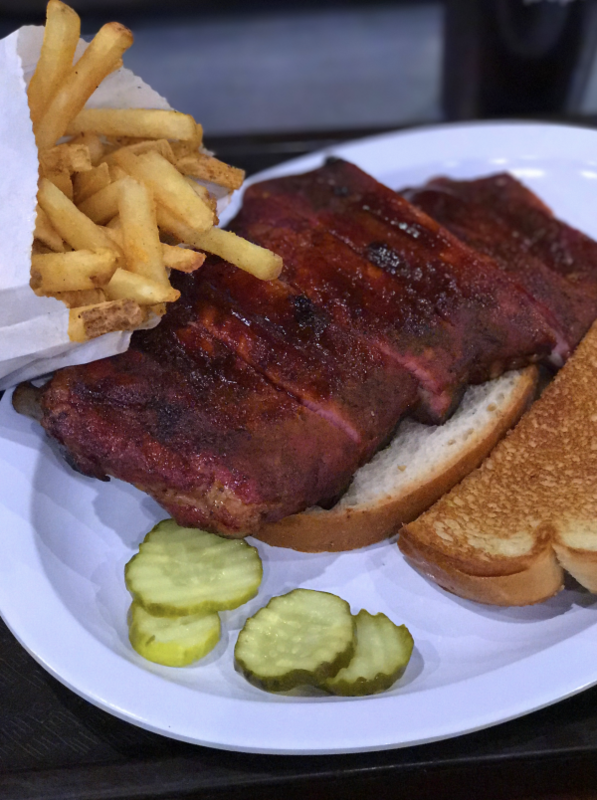 Don't get a half, put your big boy pants on and get a whole rib dinner! Sometimes I can polish off an entire slab (depends on if I ate lunch or not), but if I don't then I have lunch the next day. For my side item, I ALWAYS choose french fries. I know some of you are also thinking...fries?!?! Yes, fries!!! They make them on the spot when you go pick up your order, so they are nice and HOT! Another favorite is the Z-man. If you aren't looking to overstuff yourself or for a nice lunch portion this is your baby! Its a smoked brisket sandwich, topped with provolone and crispy onion rings. Last but not least the smoked chicken dinner is great too! They smoke their chicken to perfection, serve it with one side and Texas toast! My mom is a chicken person, and she really enjoys this. ***Words of Wisdom: There is ALWAYS a line out the door, so if you are in a hurry call ahead of time and place a to-go order. It normally takes about 30 minutes for to-go orders, so plan accordingly. Otherwise, if you aren't in a hurry embrace the BBQ experience! Below in my recipe notes I put the address to the original gas station location (there are many others in KC too if you aren't downtown) and the website. Enjoy!!! Hey y'all! I'm an ICU nurse by day and busy wife by night. Football consumes my life...my husband plays in the NFL so I'm always hosting our "football family" for dinner too. I'm obsessed with butter, my dogs, and tailgating. Welcome to my playbook for the kitchen! Get the latest posts via email!